With your help Neumann University can continue offer a private, Catholic education, emphasizing respect for individuals, concern for the environment, and social responsibility. With your support, there's no limit to students' success. Supporting Neumann is easy. You can name the University in your will, fund a Neumann charitable gift annuity and receive a steady stream of income, or choose from a wide array of giving options that align your philanthropic goals with your everyday interests. Planned gifts of all sizes and types work together to make a difference for our students. Let us help you make the gift that's right for you. Begin a confidential, no-obligation conversation to start this journey with us. Jeremiah F. Manning '62, Esq. The Guardian Angels Society honors those who have made a special commitment, through a planned gift, to the advancement of Neumann University. We'd love to welcome YOU as our newest member! One of the greatest accomplishments of Neumann University for me personally was the program for adult women students initiated to allow adult students to earn their bachelor's degree faster utilizing 6-credit courses in an evening format meeting one night per week. 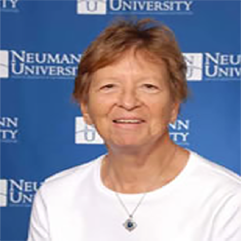 Neumann University has experienced significant growth all the while staying keenly focused on offering an education based on the concepts that knowledge, while valuable in itself, is to be used in the service of others, and that learning is a life-long process. My life at Neumann has been rewarding. I earned my undergraduate degree in Psychology in 1988, served on the Alumni Executive Board as Vice President, my daughter joined me as part the Neumann University alumni in 2000 and I was awarded the outstanding alumni award in 2007. But the most rewarding part of my relationship was naming Neumann University in my will. 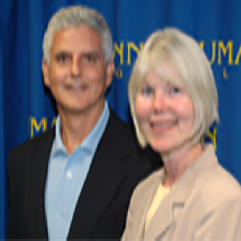 By naming Neumann a beneficiary of my will, I am able to provide now for a future gift to Neumann University. 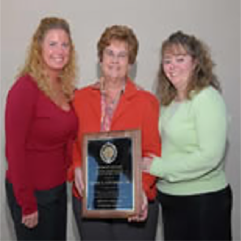 I always knew that Neumann University would be remembered in my will because to me Neumann University is home. The Sisters of St. Francis, the founders of Neumann, are a group of women that I admire very much. I have worked in many environments, private sector, public accounting, but I have never experienced the genuine caring of others that I am witnessed to every single day here at Neumann. Neumann University has a very special place in my heart. When I was diagnosed with breast cancer, I was devastated. I cannot imagine how I would have survived the surgeries, chemo and radiation if it were not for the caring people in my life and the support and prayers from the Neumann University community, especially the Sisters of Saint Francis. After my recovery I knew I must do something to make a difference in peoples' lives that have been devastated with breast cancer and, at the same time, show my love and commitment to Neumann University. So in 2002 I established the Janet Massey Breast Cancer Survivor Scholarship Fund. The purpose of the scholarship fund is to provide monies to help women diagnosed with breast cancer and family members of breast cancer survivors replace the fear and doubt cancer brings into their lives with knowledge and hope for the future. I would like to quote from one of the funds recipient's thank you letter, "It is heartwarming to know that in some small way, my mother's spirit and fight are helping me pursue my dreams of an education". When I reflect upon my life this far, I cannot do so without reflections on the influence that Neumann University has contributed. When I entered Neumann University, I realize now, that I was at a pivotal point in life. The mission of the college, the excellent educators, and the Franciscan spirit shaped me in such a way that I have carried these gifts with me in my day to day life as a parish nurse. I continue to support Neumann University simply because I hope that every student will be shaped from the high quality of education that shaped my life. Naming Neumann University as the beneficiary of a qualified retirement plan asset such as a 401(k), 403(b), IRA, Keogh, profit-sharing pension plan or other donor-advised funds, will accomplish a charitable goal while realizing significant tax savings. You can turn underperforming assets (stock, cash in a savings account, CDs, savings bonds, etc.) into a gift to Neumann that provides income to you. Your Charitable Gift Annuity will give you quarterly, fixed payments for life and tax benefits, too. If you're 70 1/2 or older, you can make a gift directly from your IRA to Neumann University. While there is no charitable deduction for a rollover gift, you do avoid the income tax on the donated portion of your required minimum distribution. There are many giving options available to you, such as naming Neumann University as a beneficiary in your will and charitable gift annuities that provide steady income for you and your family during your lifetime. For more information, please find our contact info below, or submit this form. I would like to learn more about supporting Neumann University with a planned gift. I have already included Neumann University in my estate plans. I havent made plans for Neumann University in my estate, but its on my to-do list. If you are working with a professional advisor or advising a donor, here's a useful guide for including the Neumann University Foundation in a charitable estate plan.